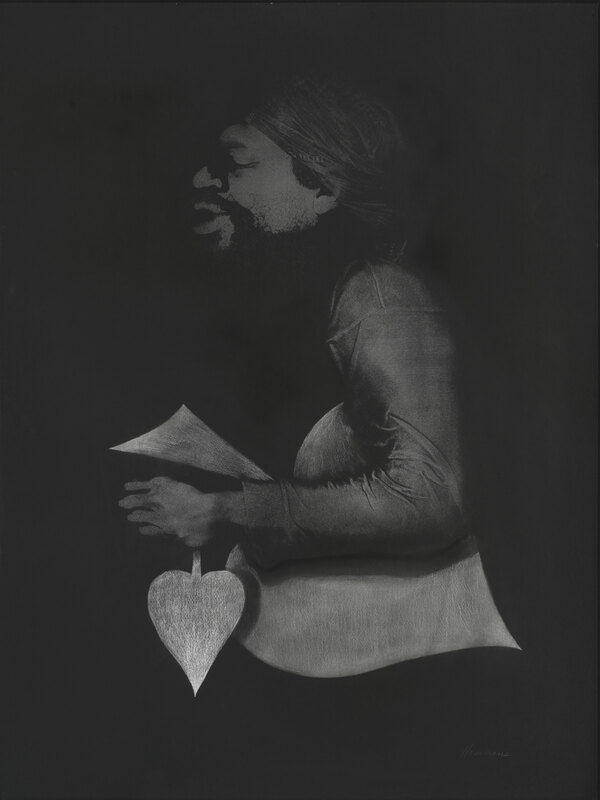 Hammons used spades or shovels as a central component in much of his art from the 1970s, including his two-dimensional, three-dimensional, and performance works, in which the gardening tool represents the deprecating term spade, a common racial slur. In doing so, he also represents his own racial identity as a black male who remembers being referred to by this offensive term. By exploring this symbolic allusion in his sculptures, Hammons directly confronts the use of such language, displaying his commitment to racial reform in America and to the civil rights movement. "Three Spades." Now Dig This! Art in Black Los Angeles, 1960–1980 Digital Archive. Los Angeles: Hammer Museum, 2016. https://hammer.ucla.edu/now-dig-this/art/three-spades.